In 2013, I was invited to design a postcard as part of the Hope in a Card initiative, a fundraiser for the benefit of the survivors of Typhoon Haiyan in the Philippines. Haiyan was one of the largest typhoons ever recorded and the deadliest Philippine typhoon recorded in modern history. 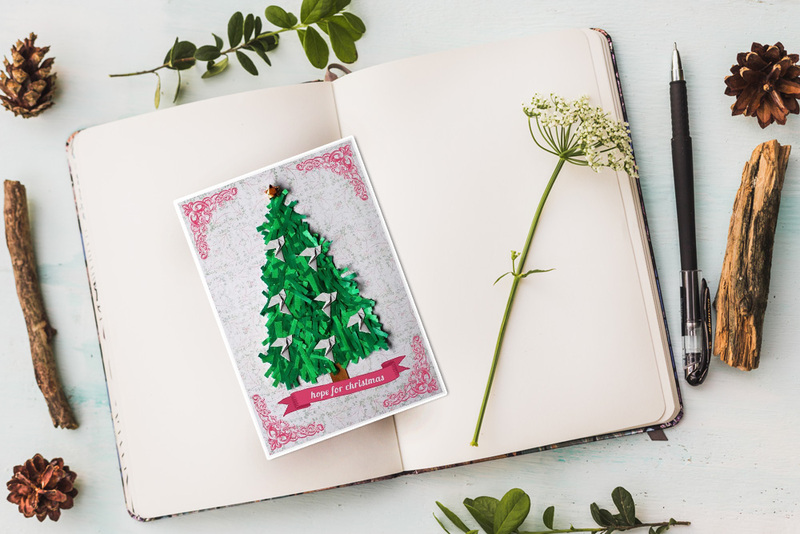 Hope in a Card involved a group of Singapore-based Filipino designers who came together sharing their talent and passion to produce a series of Christmas postcards. Each card individually showed the artist’s rendition of the theme – Hope for Christmas. My design was an amalgamation of my artistic interests – graphic design, photography, and arts & crafts. It comprised an actual photo of a paper Christmas tree with origami dove ornaments and star (both symbols of hope) on patterned paper, enhanced by graphic design elements. Hope in a Card raised S$1,605.00 (roughly PHP 56,000.00) and was donated to Gawad Kalinga Foundation. The funds helped rebuild homes, particularly re-roofing some 999 or more residences. For more information on Hope in a Card, please click here.